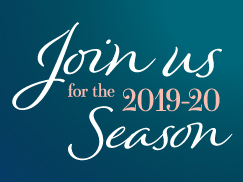 Please contact education@bsomusic.org to be added to the mailing list for 2019 Academy Week information. 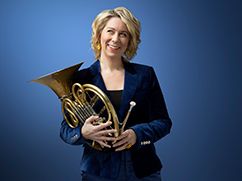 The BSO Academy brings together passionate adult instrumental musicians from all over the United States and the world, for a once-in-a-lifetime experience with the Baltimore Symphony Orchestra. Academy participants play side-by-side with the BSO in rehearsals and performances, and experience musical enrichment classes, lectures, chamber music coachings, sectionals and other special events led by BSO musicians and experts in the field. The Academy provides an immersive experience for adult non-professional musicians who desire an intensive learning experience. The Academy week will include an anniversary celebratory dinner and a catered lunch with the BSO Musicians. Please note the following differences: the BSO Academy Week will no longer include the Large Ensembles, option to participate in the Solo with Piano concert, transportation to/from Hotel Indigo or catered daily lunches. The lunchtime breaks will be extended so that participants will have time to enjoy the local food scene! Because of this reduction in services provided, the tuition has been reduced to $1,600. The $50 application fee is non-refundable and required for all participants, including participants who are requesting scholarship support or financial assistance. Click here to pay the application fee if you are not redirected to a payment page after completing an application. All Academy activities will take place at JMSH and in the surrounding area for the entirety of the Academy Week (Sunday, July 14 – Saturday, July 20). 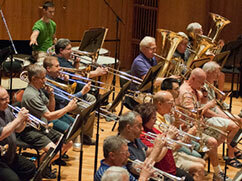 All Orchestral Program rehearsals with the BSO are held at the Joseph Meyerhoff Symphony Hall. What is the age requirement for the Academy Week? All participants must be 18 years old by the first day of the Academy Week. The average age for Academy Week participants is about 56, but in 2018 participants ranged from 22 to 75 years of age. Special consideration for participants under age 18 might be considered on a case-by-case basis. Where do participants come from? Approximately 70% of Academy Week participants are from the Mid-Atlantic region of the US (Maryland, Washington D.C., Virginia, Pennsylvania, New York, New Jersey, etc.) but many participants come from much further. The 2018 Academy Week participants represented 19 states stretching from Maine to California! Past years have included participants from Canada, France, Austria, and Russia. Is there a requirement for playing ability? The BSO Academy does not require an audition to be accepted. 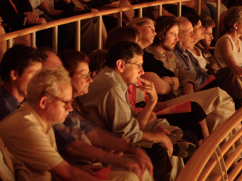 However, a basic knowledge of reading music is required, and the program is most enjoyable for participants who can comfortably play or follow along with the level of the selected repertoire and contribute to conversations about the techniques used to play the repertoire. Many participants are not able to play every single note in a difficult passage. You don’t have to! The entire BSO is sitting with you and will cover the parts that are beyond your ability. The BSO faculty will guide you with suggestions on how to simplify or otherwise make it through a tough passage. We welcome a short recording of your playing if you are not sure if this program is right for you and would like our advice. Where can I practice by myself during the Academy Week? Practice spaces at the Meyerhoff Symphony Hall are shared and communal. A limited number of private practice spaces may be available on a first come, first served basis. A blend of downtown cool and uptown sophistication, the Hotel Indigo Baltimore sets a new standard for artsy, eclectic style in Baltimore’s cobblestoned Mount Vernon neighborhood. Limited rooms available Friday, July 12 – Saturday, July 20. $119/night. To secure this rate, rooms must be reserved by June 12, 11:59pm. Note: The registration fee of $50 must be paid along with the application form. Maestro Hersh has participated in the BSO Academy for four consecutive seasons and served as the Academy Conductor for three seasons. His musical leadership, nurturing style and accessibility as well as his rapport with the BSO musicians has made him an exceptional choice to lead the Academy Orchestra. *Repertoire is subject to change. Follow the BSO Academy Programs (@BSOAcademy) on Facebook for updates and details. All Orchestral Program participants can request to play in either the Group 1 or Group 2 orchestras. Academy staff will work to create a balanced participant to BSO musician ratio so each participant can receive as much individual attention as possible. We will do our best to place you in the group you request but cannot guarantee it. Program participants also have the option to perform in both groups, if space is available, for an additional fee ($750). Note: participation in both groups will preclude attendance at some lectures and classes. Private Lessons (1 hour) *: Participants take private lessons with BSO faculty members of their choosing to work on solo, chamber, orchestral repertoire, tone, technique or other musical agendas, for an additional fee of $130/hr. Please see the BSO faculty listing for teacher selection. Faculty list coming soon. *Private lessons are scheduled individually at times that are mutually convenient for the Academy participant & BSO faculty member that do not conflict with provided meals or other Academy activities, and when space is available. Participants may request a preferred time while registering for private lessons after acceptance. Chamber Music: Participants enrolled in Academy Chamber Music rehearse and perform in one ensemble, quartet-sized or larger, with a BSO musician serving as the group’s coach and a playing member of the ensemble. 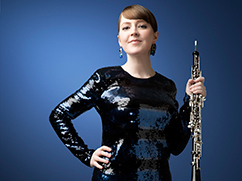 This experience includes one chamber music group, three 1.5-hour rehearsals, a dress rehearsal in the concert space, and one public performance. There is an additional fee of $650 for the add-on Chamber music group. Note: participants may choose to enroll in the chamber music program only, for $700. Parking: Purchasing a parking pass is a convenient option for commuters or participants who would like to avoid street parking or high daily parking rates at hotels. The BSO Garage (1311 Cathedral Street) is half a block away from JMSH and passes cost $45 for the duration of the Academy Week. A limited amount of funding is available for participants that belong to historically underrepresented communities in classical music and/or are committed to the work of increasing diversity and inclusion in the arts and those who demonstrate financial need due to extreme circumstances or other financial hardship. Financial assistance may also be available to fill program instrumental needs. BSO Academy Week tuition and fees are non-refundable except in the case of a medical emergency or other extreme circumstance as determined by the BSO Director of Education & Community Engagement. Please note that the $50 application fee is non-refundable. No reduction in fees can be made for late arrival or early departure. New in 2019, the BSO Academy will be sending out three chamber groups, selected by BSO Academy Faculty and Staff to perform free concerts in the Baltimore community! These groups will serve as Academy ambassadors to share the love of music with various organizations in our community. Add-on: Orchestral Program participants who would like to play chamber music in addition to the components of the Orchestral Program may do so for $650.